Higher intake of citrus fruits such as oranges and lemons may help prevent heart disease, liver disease and diabetes in obese people, a new study has claimed. Oranges and other citrus fruits contain plenty of vitamins and substances, such as antioxidants, that can help keep you healthy, researchers said. Now a new study has found that these fruits also help prevent harmful effects of obesity in mice fed a Western-style, high-fat diet. 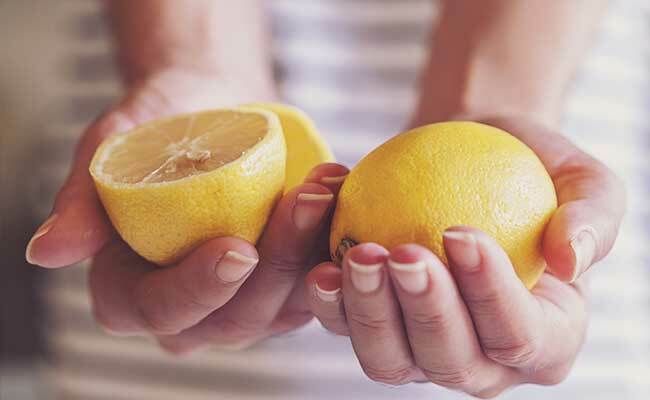 “Our results indicate that in the future we can use citrus flavanones, a class of antioxidants, to prevent or delay chronic diseases caused by obesity in humans,” said Paula S Ferreira, a graduate student at Universidade Estadual Paulista (UNESP) in Brazil. Being obese increases the risk of developing heart disease, liver disease and diabetes, most likely because of oxidative stress and inflammation, Ferreira said. When humans consume a high-fat diet, they accumulate fat in their bodies. Fat cells produce excessive reactive oxygen species, which can damage cells due to oxidative stress. The body can usually fight off the molecules with antioxidants. But obese patients have very enlarged fat cells, which can lead to even higher levels of reactive oxygen species that overwhelm the body’s ability to counteract them. Citrus fruits contain large amounts of antioxidants, a class of which are called flavanones. Researchers wanted to observe the effects of citrus flavanones for the first time on mice with no genetic modifications and that were fed a high-fat diet. The team conducted an experiment with 50 mice, treating them with flavanones found in oranges, limes and lemons. The flavanones they focused on were hesperidin, eriocitrin and eriodictyol. For one month, researchers gave groups either a standard diet, a high-fat diet, a high-fat diet plus hesperidin, a high-fat diet plus eriocitrin or a high-fat diet plus eriodictyol. The high-fat diet without the flavanones increased the levels of cell-damage markers called thiobarbituric acid reactive substances (TBARS) by 80 per cent in the blood and 57 per cent in the liver compared to mice on a standard diet. However, hesperidin, eriocitrin and eriodictyol decreased the TBARS levels in the liver by 50 per cent, 57 per cent and 64 per cent, respectively, compared with mice fed a high-fat diet but not given flavanones. Eriocitrin and eriodictyol also reduced TBARS levels in the blood by 48 per cent and 47 per cent, respectively, in these mice, researchers said. In addition, mice treated with hesperidin and eriodictyol had reduced fat accumulation and damage in the liver. “Our studies did not show any weight loss due to the citrus flavanones,” said Thais B Cesar, who led the team. “However, even without helping the mice lose weight, they made them healthier with lower oxidative stress, less liver damage, lower blood lipids and lower blood glucose,” said Cesar.